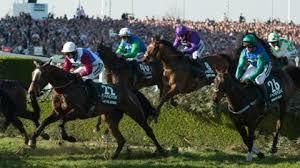 The Grand National will be showing on our 65″ screen this Saturday. The runners will go to post at 5.15 pm and anyone who has a bet on the winning horse who is watching in the club will receive a free pint if they produce their betting slip or phone app notification as proof. We will also be running a sweep and you can buy your tickets for this at the bar.